A must for every home. 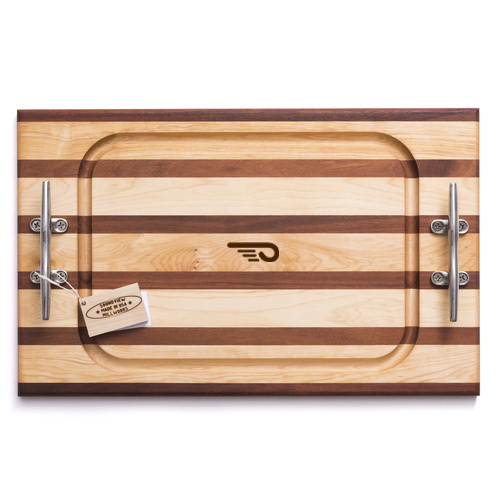 These steak boards feature two stainless steel nautical cleats, an ample 3/4" juice groove, and our signature maple and mahogany design. They're perfect for impressing guests at the holidays or casual grilling. This steak board has the Hinkcley Talaria Logo engraved in the center. M: 20" x 12.5" x 1.03"